One of my favorite benefits of the Citi Prestige card from Citibank is their perks through GolfHub. Your annual fee enables you to book 3 free rounds per year at some really nice golf courses. I used mine to book 6 free rounds at courses that someone else paid over $1,000 for. 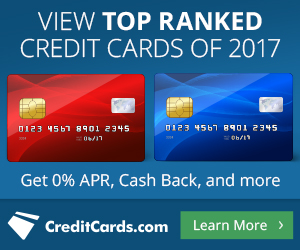 What is the Citi Prestige card? Do you want awesome benefits like this? The Citi Prestige card is the high-end ThankYou points card from Citibank. It carries a hefty annual fee of $450, but there are some pretty great benefits on top of the 50,000 ThankYou points offer that is usually available. Aside from the points bonus, the you earn 3x points on air travel and gas spend and 2x points on dining and entertainment. If you’re a CitiGold member, you get a discount on the annual fee (from $450 down to $395) and your points receive a 15% bonus. There’s a $250 per year credit for flight-related travel expenses, such as tickets, baggage fees, and upgrades (I recently used mine to pay for taxes on Southwest flights to Cabo) and a $100 credit when using the Citi Prestige card to pay for Global Entry. Just these benefits alone are worth up to $1,400 for the annual fee of $450. One of the other great benefits (if you pay for hotel rooms) is receiving the 4th night free. When you pay with your Prestige card at ANY hotel, you will receive a credit for your 4th night. I’m not sure how this is calculated… if it’s an average of all nights or if they actually determine what you paid for that 4th night. I would assume it is the average amount paid per night. And then there’s the golf benefit! My buddy Travis and I enjoy spending the occasional Saturday or Sunday morning chasing our golf balls around the course. We usually only golf whenever we can find a discounted golf deal on Groupon or LivingSocial. But now that we have the Citi Prestige card, we get 3 free rounds of golf every calendar year. There are plenty of courses near our houses in Orange County, California, but we want to maximize the value we get, so we choose the most expensive courses from the list! If you time the approval of your Citi Prestige card (usually April through October), you can manage to golf 3 times during the calendar year you were approved AND 3 more times in the next year before the annual fee is due! There are now over 2,400 golf courses across Asia, Latin America, USA, Europe, the Middle East and Africa to choose from. The first step is to go to the Citibank Prestige page (you may have to enter some card info to see your benefits) and look for the golf benefit. Then click on “Learn More” which will then bring you to the link to sign up for GolfSwitch, which is the company that handles the golf benefit for the Citi Prestige. After registering for your account with GolfSwitch (GolfHub.com), you can select your course… you can golf locally, or pick a course that you’ll be traveling to! I searched for courses in Orange County, California and found several to choose from, including some more expensive courses – Monarch Beach Golf Links at $179 per round and Strawberry Farms Golf Club at $175 per round. Since Travis and I each have the card, we each have to book our own tee times through our own accounts. Be cautious of courses like Anaheim Hills Golf Course and Champions Club at the Retreat that list “2 or 4 players” because you can only use one of your free rounds at a time… effectively turning that reservation into a BOGO (buy one, get one free). When you click book to select your course the full price will still show. Notice the message stating that “as a Prestige CardMember, you have 3 complimentary rounds available to be applied at checkout.” This section will tell you how many free rounds of golf you have left. When you go to check out, you will be asked whether or not you want to use one of your free rounds of golf. I say yes… then go to check out and see the price now showing as $0! Voila! Now, just do this 5 more times and you just experienced six rounds of golf for free that would have cost over $1,000!!! We always have fun golfing, but this morning was even more fun knowing that it would have cost $350 for both of us to golf… and we were doing it for free! Free is way better than a Groupon, let me tell you. We may not be great golfers (I seriously lost about 18 balls that day, which is why I always buy the cheap golf balls on sale), but we have a great time… except when the warden stops by to tell us to pick up the pace. If you would like free travel advice on how to have better travel experiences and enjoy better rewards on your credit cards, please send me a message here. When you suggested this card it was a huge leap of faith for me to accept my first annual fee card. Since I received it, less than six months ago, besides the airline credit and the global entry credit, I’ve used the fourth night credit. It IS the fourth night in a row, whatever fee that ends up being, and it isn’t ANY hotel, it is any hotel on their network (I think they say it is any hotel they can make a reservation at, and then they can’t make a reservation at certain hotels, I didn’t get a satisfactory answer why.) That being said, with even one night free and the airline credit I’m basically at $450. Then, the price rewind credit, where if I buy something they will pay the difference if it goes on sale within 60 days. So, I had to buy an emergency part for my computer at $220, but on black Friday it was advertised at $20, right there, I made money back. Also, since I live in Hawaii EVERYTHING is more expensive so, for example, I bought something for $150 extra from Amazon because Sam’s club wouldn’t ship to me, immediately I qualify for the $150 back for the difference. That alone I’ve come out way ahead. And I still need to figure out the rental car stuff AND the golf stuff and the lounge stuff, although the one time I could’ve used the lounge, we opted to use a different lounge instead. Getting the card was GREAT advice! Yeah, I know the annual fee can be a HUGE obstacle, but the benefits are so worth it. And I’m too frugal to play nice golf courses when I’m paying for them! I usually don’t pay for hotel rooms (other than when I travel for work) since we use our hotel points and timeshares for all of our travel needs, but we’re going to Cabo later this year for our children’s Godmother’s wedding and staying at an all-inclusive. We’ll be using the 4th night free benefit to reduce the cost of our stay. Let me know when you’re ready for more cards, then we can strategize which cards will work best for your upcoming goals. Also, don’t forget that the $250 airline credit and the 3 rounds of golf are PER CALENDAR YEAR. So, if you used the $250 in 2015, you’re able to use it again in 2016 before your annual fee is due… so, just the $500 from that more than offsets your annual fee for the first year. And I just got an email that, as part of their promotion, I could get a chance to meet Ice-T in L.A. Being willing to pay that fee, it’s a different world now.